Handsome desk for writing, reading, and creative activities. 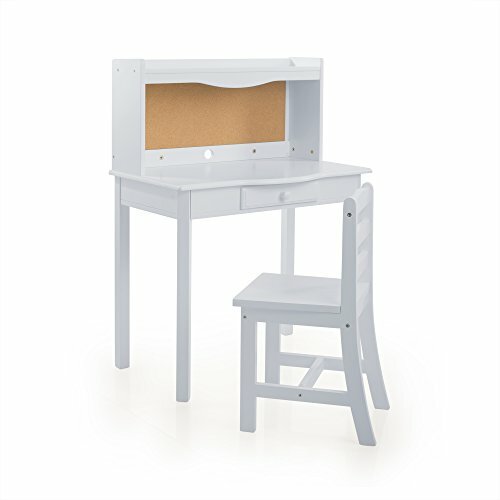 Features a pull-out drawer and corkboard back panel for pining important papers and photos. Back panel includes a small hole for plugging in electronics.